Most art and technology projects pair artists with engineers or scientists: the artist has the conception, and the technical person provides the know-how. John Maeda is an artist and a computer scientist, and he views the computer not as a substitute for brush and paint but as an artistic medium in its own right. Design By Numbers is a reader-friendly tutorial on both the philosophy and nuts-and-bolts techniques of programming for artists. Practicing what he preaches, Maeda composed Design By Numbers using a computational process he developed specifically for the book. He introduces a programming language and development environment, available on the Web, which can be freely downloaded or run directly within any JAVA-enabled Web browser. Appropriately, the new language is called DBN (for “design by numbers”). Designed for “visual” people — artists, designers, anyone who likes to pick up a pencil and doodle — DBN has very few commands and consists of elements resembling those of many other languages, such as LISP, LOGO, C/JAVA, and BASIC. 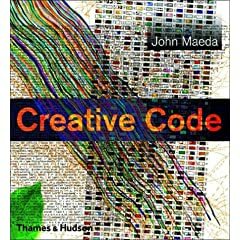 Throughout the book Maeda emphasizes the importance — and delights — of understanding the motivation behind computer programming, as well as the many wonders that emerge from well-written programs. Sympathetic to the “mathematically challenged,” he places minimal emphasis on mathematics in the first half of the book. Because computation is inherently mathematical, the books second half uses intermediate mathematical concepts that generally do not go beyond high-school algebra. The reader who masters the skills so clearly set out by Maeda will be ready to exploit the true character of digital media design. A rich compilation of work by some of the most inventive minds in the field of digital design. Maeda’s work as an educator and director of the Aesthetics + Computation Group (ACG) at the MIT Media Lab has largely remained behind the scenes. For seven years, Maeda and his studentsâ€”several of whom are already internationally celebratedâ€”have created some of the most digitally sophisticated and exciting pieces of design to emerge anywhere. Little of this research has been seen outside the laboratory. This book presents the most fascinating work produced by the group, arranged into themes that apply to today’s design issues: information visualization, digital typography, abstraction, interaction design, and education. Each section also features brief essays by leading names in the field of interaction and digital designâ€”Casey Reas, David Small, Yogo Nakamura, Joshua Davis, and Gillian Crampton-Smith.